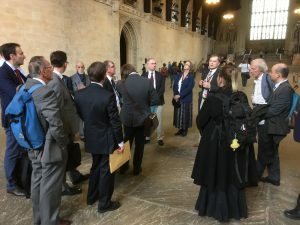 Following the AGM on 22nd September IMS members and guests visited the Palace of Westminster, where they were given a guided tour of some of the conservation work by Archivist & Historian Mark Collins & Conservation Architects Adam Watrobski & Tessa Blundy. 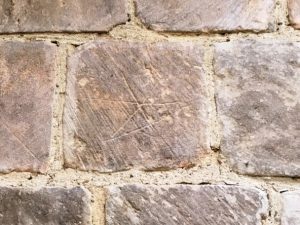 Starting in the bookshop of Westminster Hall the group were shown some of the oldest stonework and masons marks. Throughout the visit a lively exchange of knowledge and experience covered many aspects of the sourcing of materials and design to give long term performance. Read more about the stonework of the Palace and its survival despite fire, bombing and centuries of use. Besides maintaining the stonework, Members of Parliament are faced with major challenges relating to the present and future use of such an iconic and important building. Reports and informative videos about the renovation and renewal programme are freely available: read more.